A guilt-free pleasure, carrot cake makes everyone feel like they’ve opted for the healthy option – whether or not that is actually the case! Moist, dense and often with a hint of spice, it’s the perfect accompaniment to a cup of tea, and can be knocked up quickly while still packing that flavourful punch. Whether you are baking for a special celebration or just want a scrumptious tea time treat, this collection contains the best carrot cake recipes for all occasions. 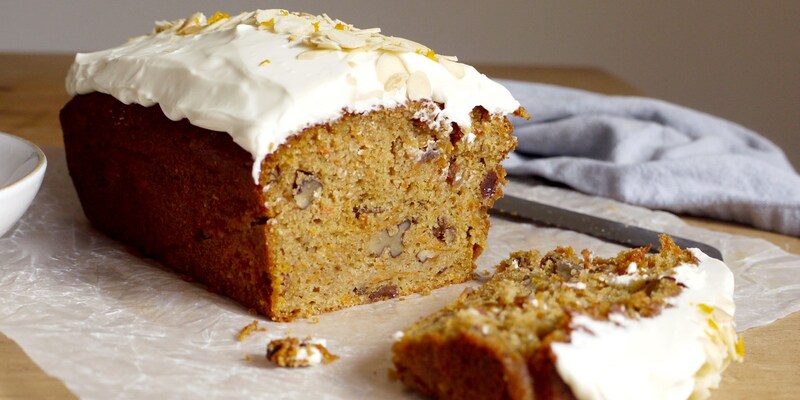 If you prefer an easy carrot cake recipe bursting with nutty flavours, try Adam Stokes’ wholesome Carrot and walnut cake, which is fantastic served on it’s own or with a scoop of ice cream for a more luxurious dessert. Both Adam Gray’s Mini carrot cakes topped with decadent lemon and cream cheese icing and Nathan Outlaw’s deliciously moist Carrot cake petit fours would make the perfect additions to any afternoon tea. For a bite-sized carrot cake with added crunch, try the alternative Carrot cake shortbread biscuits by Izy Hossack, combining the two wonderful worlds of cakes and biscuits in one!